How to connect D-Link your router GO-RT-N300? 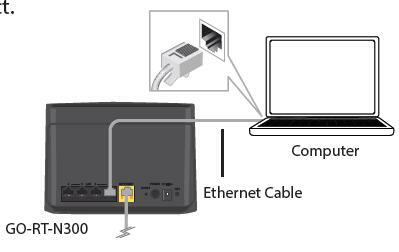 3.Connect another Ethernet cable from the Ethernet port on your computer to one of the LAN ports on the router. You can also connect wirelessly to the router with your computer. Complete steps 4 and 5 before attempting to connect. 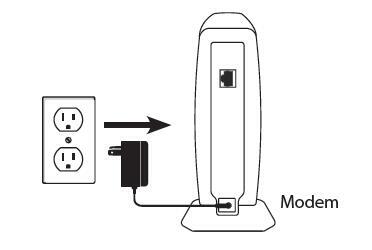 5.Plug the power adapter into your router and connect to an available power outlet or surge protector. If the Power LED does not light up, press the Power button on the back of the router.If connecting wirelessly, open your wireless utility on your computer and connect to the router. The Wi-Fi network (SSID) is GO-RT-N300 with no password. 6. 6 After the router has powered up, verify that the Power and Internet LEDs are both lit. Proceed with router configuration.